The Chicken Lady Waddles Again! 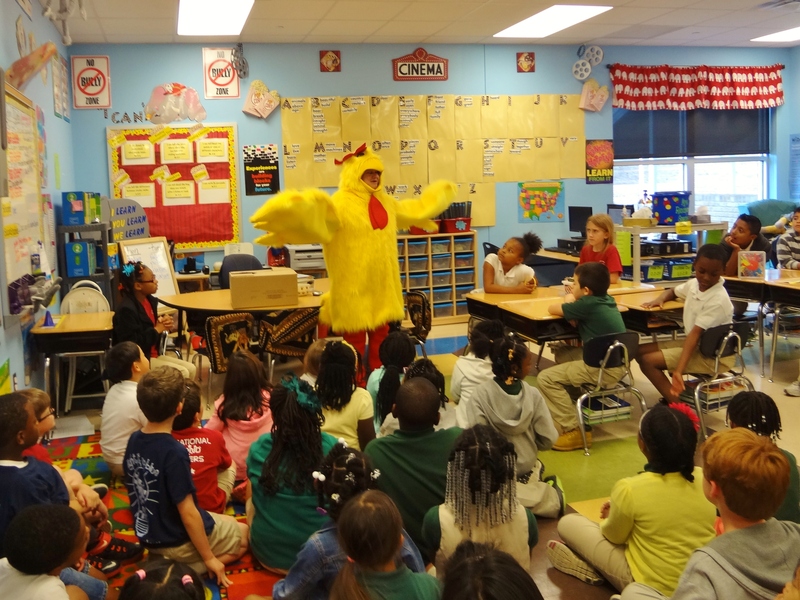 You may remember reading a previous post where I visited an elementary school classroom to talk about the wonders of raising chickens. I can’t believe that was over two years ago. My pals Tama and Meggie went with me to help. 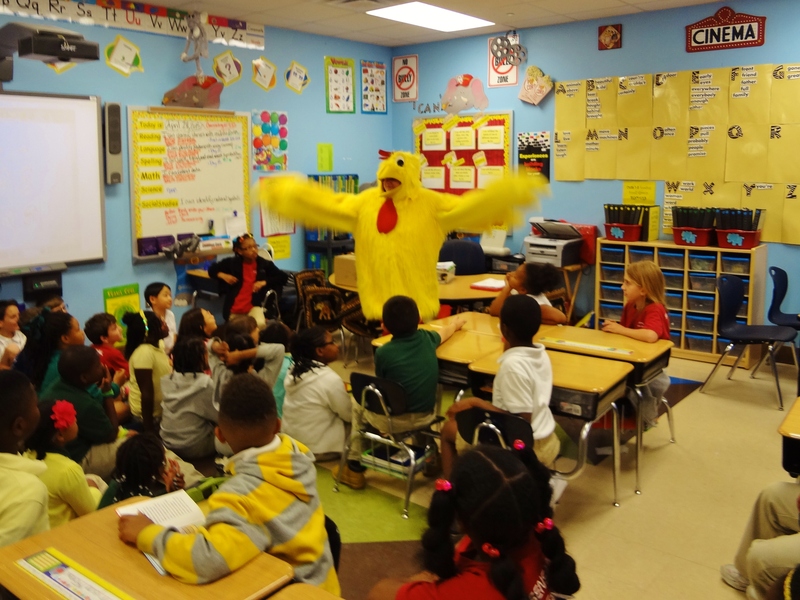 Meggie wore the chicken suit and did the funky chicken for the kids. 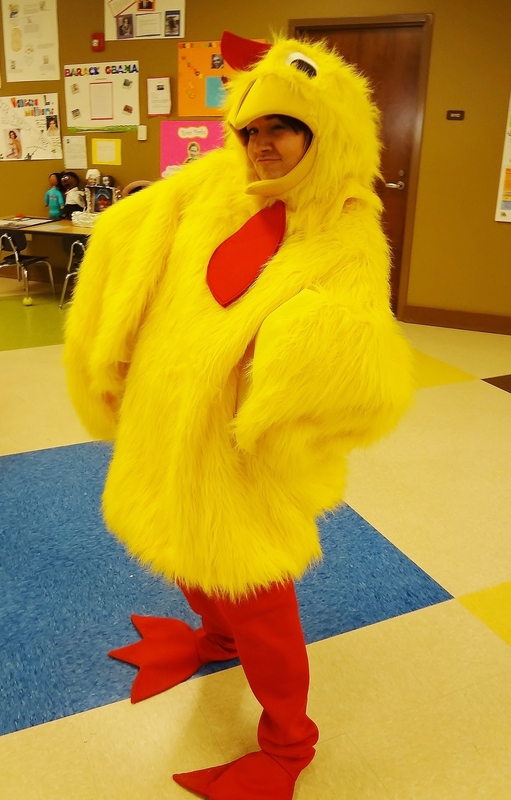 She was an AMAZING dancing chicken! 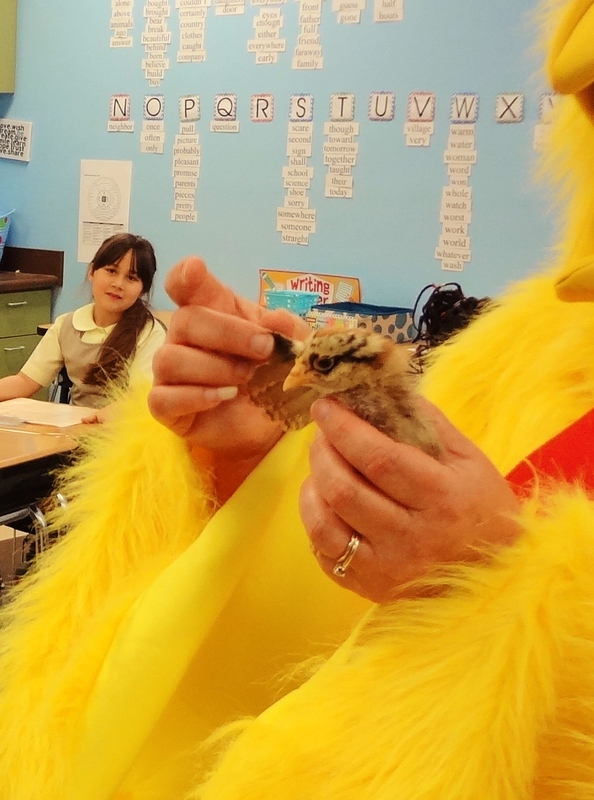 This year, Mrs. Nelson’s class was going to hatch some eggs and raise some baby chicks in the classroom. 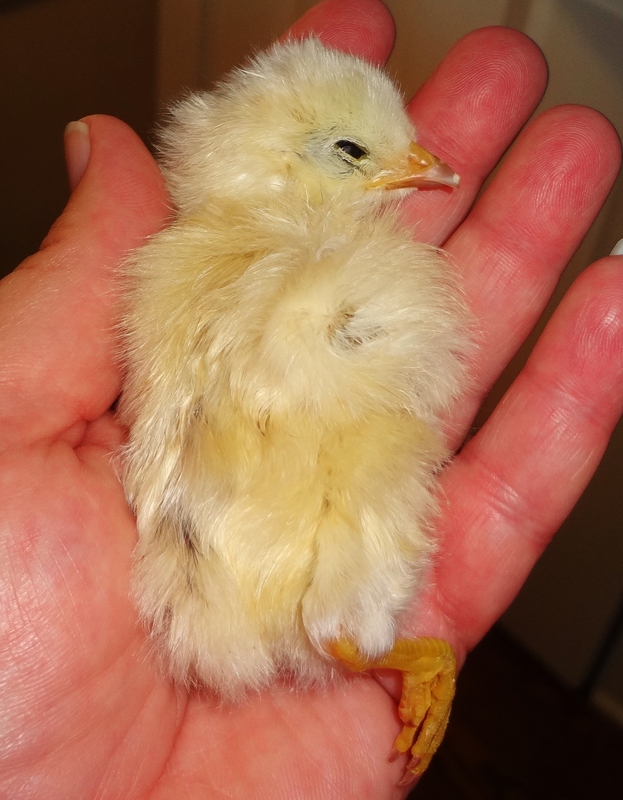 Alas, only one egg hatched and the poor little chick lived alone in the brooder. She asked me to come to the class to talk about chickens so we picked a day and I made a few preparations for the presentation. I didn’t have a helper to wear the suit this time so this chick had to don the big yellow ensemble herself. I must say, I do wear with style! The morning I was supposed to go visit the classroom, Mrs. Nelson called and said that the lonely little chick had died overnight. I knew the kids would be sad so I asked if I could bring some new babies from the feed store. It took some doing but I found one store that still had chicks for sale. 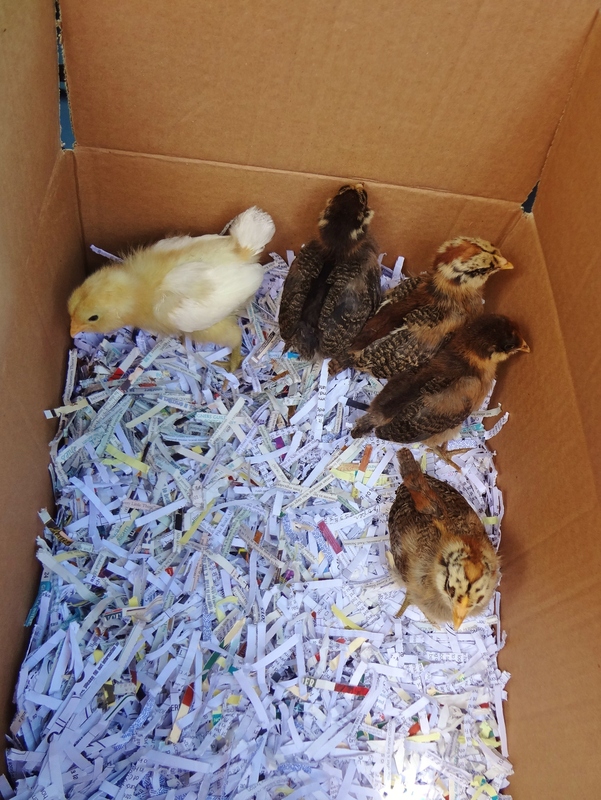 I fixed up a box for them and drove to get my little brood. These are all Americaunas. They’re a beautiful breed who have sweet temperaments and lay lovely blue/green eggs. A visual demonstration on how chickens aren’t very good flyers. You can imagine the heat generated inside this suit by a full-figured middle aged chick, wildly flapping her “wings” to try to get off the ground! This is one FRIED chicken! I very carefully showed the kids how the babies were getting their “grown-up” feathers and would soon be able to fly short leaps and hops on to their roosts. 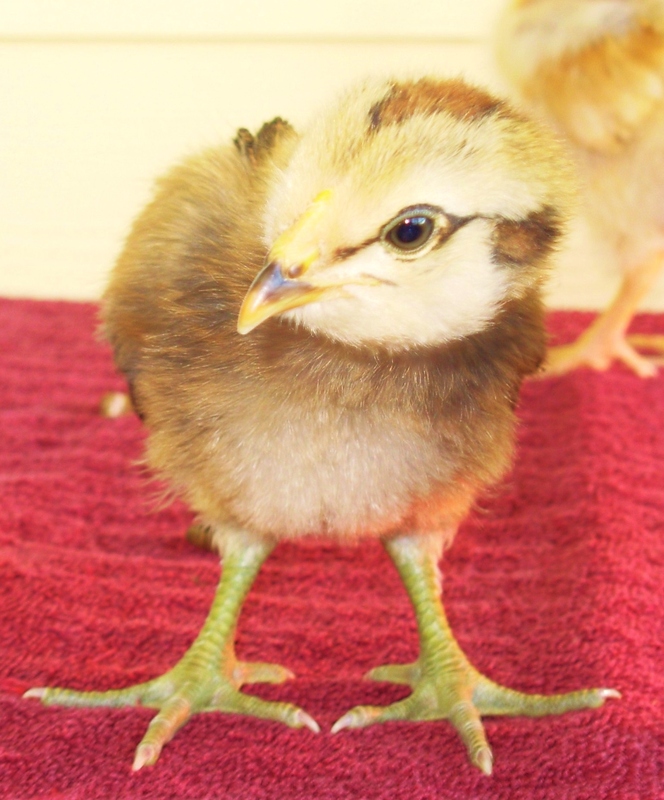 Mrs. Nelson had a brooder ready for the babies and was going to raise them until they got too big for the classroom. One of her student’s grandmothers was going to take them to live on her farm. I enjoyed my day very much and I hope I taught the kids a little bit about caring for animals and learning where eggs actually come from. I asked where the dead chick was and the teacher gave him to me in a little cardboard box. I said I would be happy to take him home and put him in my ever-growing pet cemetery. I want to thank the teachers at Wilson Elementary School for inviting me. I look forward to seeing you again next year. 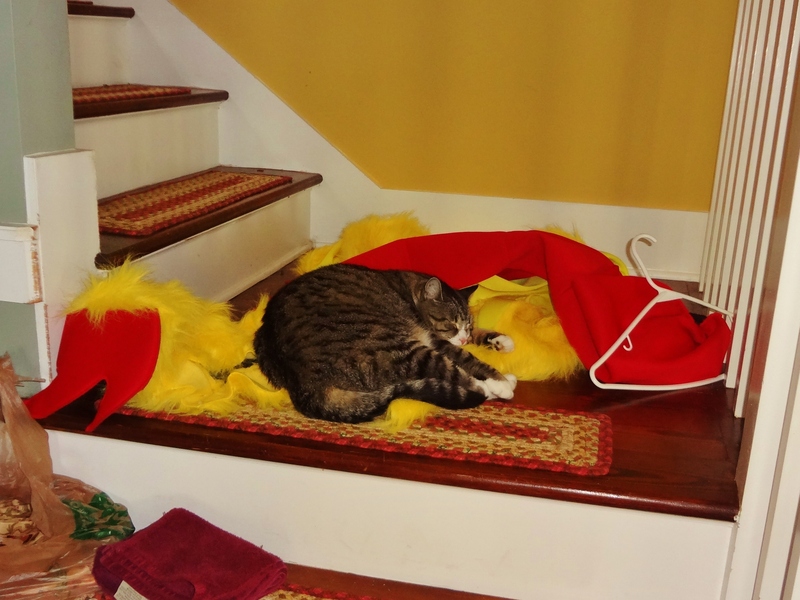 After I got home I stripped off the nuclear hot chicken suit and threw it on the landing because I was too grouchy to take it upstairs. Rowdy thought it looked like a perfect place for a nap. 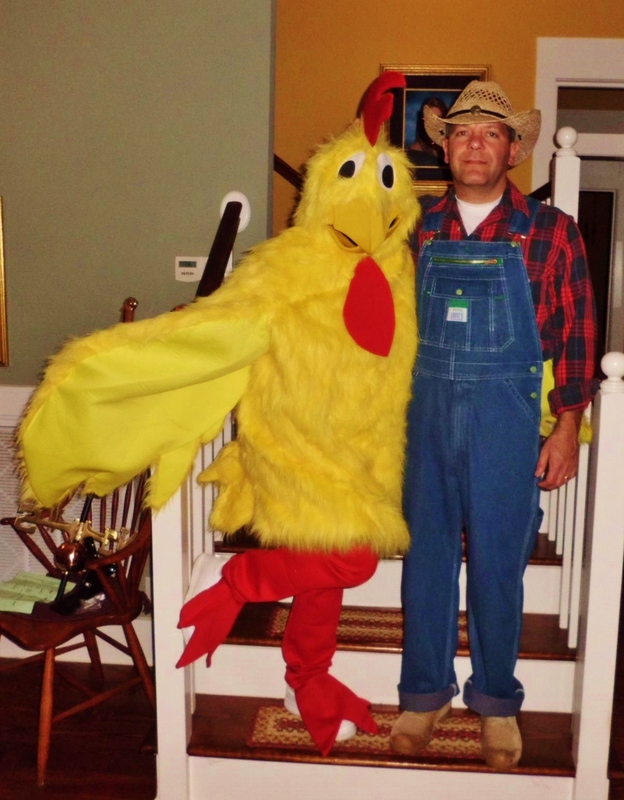 Sweet dreams of being held in the arms of a giant yellow chicken.